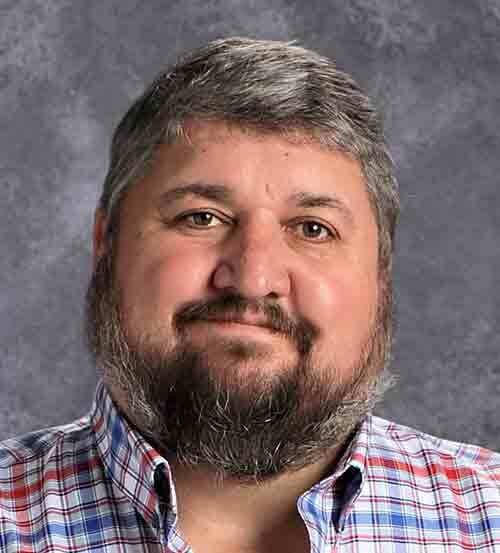 For the last eight years, William Dunham has served as the industrial technology teacher at Wapello Community School District in Iowa, with 20 years of prior teaching experience gained in Oklahoma and Texas, and two years in industry. A self-proclaimed “simple man who learned early in life the value and satisfaction of working with one’s hands,” Dunham greatly enjoys imparting the value of self-sufficiency to his students. In high school, Dunham said he was significantly influenced by his shop teacher, who recognized his ability to work with his hands, whether with woods, metals, or machinery. His teacher challenged him to expand his knowledge and understanding of machines. Dunham eventually branched out to learning blacksmithing, knife-making, and other specialties. Upon graduation, he went on to work as an aircraft mechanic for the U.S. Air Force. After serving our country, Dunham went onto earn his Associate’s, Bachelor’s, Master’s Degrees, along with his Standard Teaching Certification and Master Teacher Certification. After teaching high school for 12 years, he worked for two years as an industrial trainer for Fisher Controls/Emerson Process Management. He missed teaching high school, and decided to return to it eight years ago. His time working in industry gave him a more thorough understanding of what skills industries are looking for in future employees. Dunham aligns his curriculum with the standards set in the Iowa Core, 21st Century Skills, District Goals, and State Standards. In addition to regularly participating in regional meetings of Industrial Technology teachers, he routinely meets with faculty of nearby local community colleges to stay up-to-date on how he can best prepare students for a smooth transition into their skilled trades programs after high school, and give students a head start by earning community college credits for high school courses. Dunham also provides his students with real world exposure and experience by having local tradesmen serve as an integral part of their program and helping them obtain internships. Dunham often reminds his students that they are more than just a job to him — that he cares about them and their futures. He hears back from many of his former students on their new developments in life, whether it is starting their own construction company, being hired by their former internship connections, or using their skills as U.S. Army Rangers. Dunham greatly enjoys celebrating and sharing with pride in his students’ successes.